We’ve written many different articles extolling the virtues of home health care in general, and the services we provide here at Best In-Home Care in Lubbock, Texas. We believe that when it comes to striking a balance between the sustainability of independence and providing a safe, comfortable lifestyle for seniors, home health care provides a solution that few other options can rival. Choosing the type of care that’s best for your senior loved one isn’t easy. It’s difficult to acknowledge that your parent or grandparent isn’t capable of maintaining their total independence, while on the other hand, it’s very difficult to admit that you don’t have the time or resources to be your loved one’s primary caretaker. That’s where our home care services come in. Here at Best In-Home Care, we’ve built a reputation as Lubbock’s preferred provider of home-based health care services. We’re passionate about keeping senior citizens safe and healthy, while also allowing them to remain in their own homes where they feel most comfortable. How are we able to provide this superior level of service? Because of our experienced, well-trained home care workers. Keep reading to learn more about this profession, as well as the opportunities you may have to turn your passion for home care into a job with us here at Best In-Home Care. When most people think of health care, they imagine doctors and nurses, in scrubs and white lab coats, who work in hospitals and private practices. But in doing so, they overlook one of the fastest growing segments of health care: home caregivers. “…as the American population gets older and the health-care system caters more and more to the needs of elderly and disabled people, this growing army of millions of home-care workers will be one of the most valuable elements in keeping the whole system afloat,” explains The Atlantic. No specific training or type of education is required to be a home care worker, which is why specialized training provided by the employer is so important. 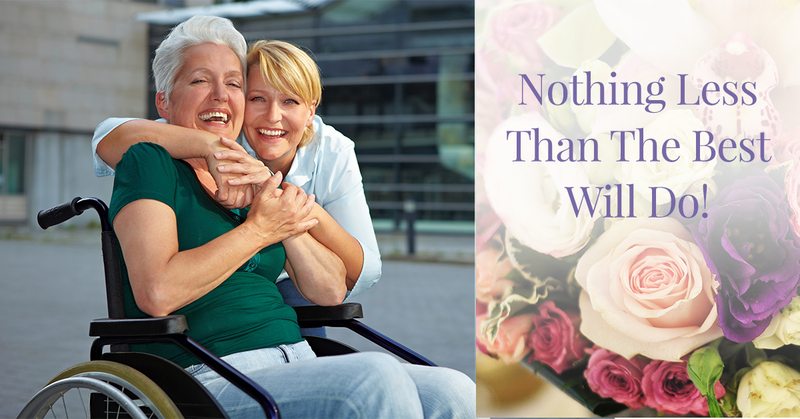 What Makes Our Home Caregivers Different From The Rest? Home caregivers become an intimate part of a senior citizen’s life. They may be present in the home daily, weekly, or overnight, or they may be hired for 24-hour, live-in assignments. Because of this close relationship, we believe it’s important to hire home health care providers that are truly passionate about the industry. We believe the caregivers we hire here at Best In-Home Care in Lubbock are the cream of the crop. In addition to reserving our open positions for caregivers that have robust experience, we also provide continuous training through our one of a kind curriculum. We’re proud of the fact that our training programs are more robust than any other home care provider in Texas, after all, you’re trusting us with your family member…nothing less than the best will do! Inspired to provide home care to seniors? Contact us to inquire about open positions today.